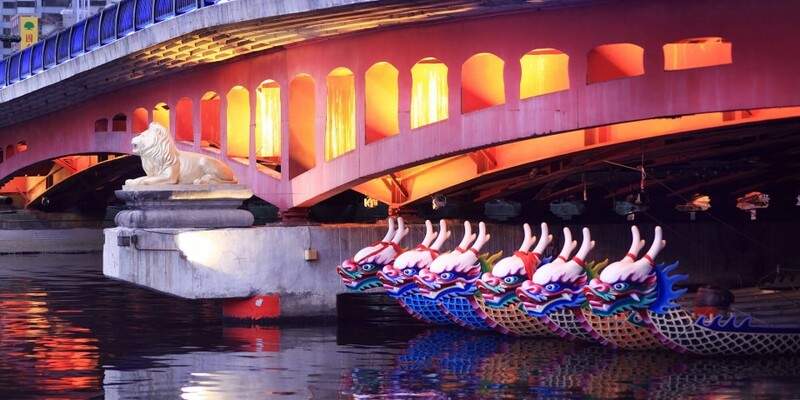 The Chinese Dragon Boat Festival takes place on the 5th day of the 5th month of the Chinese lunar calendar. It commemorates Chinese poet Qu Yuan, who is said to have died in the Miluo River. The festival is celebrated all over the world, but it seems Hong Kong is the place to be. The city of Victoria Harbour fills with heart-pounding action and colourful dragon boats. The sound of drums pounding mingles with thousands of fans as they urge the boats to the finish line! And what’s a Chinese festival without food? On the morning of the festival, families eat Zongzi, a type of sticky rice dumpling wrapped in bamboo leaves. Fillings, shapes and sizes vary from city to city, from melon and dates to dried shrimp and diced meat. Making traditional Zongzi can be tricky, so we have our own take on dumplings, using pastry instead of bamboo leaves. A little easier and just as tasty, try our Chinese Dim Sum. The provinces in China don’t just differ on Zongzi. In Beijing, it is taboo to fetch water from a well during the festival, as it is believed the water could be poisonous. In Shandong Province, children wear a bracelet made of seven coloured threads and throw it into the rain water after the first rain following the festival. Can’t make it to Hong Kong? That doesn’t mean you can’t celebrate! This weekend be inspired by our delicious recipes straight from the streets of Beijing.